The business landscape is changing at an unprecedented pace. Digital technologies are disrupting business models, regulatory burdens are increasing, and the economic environment remains tumultuous. These forces are having a tremendous impact on CFOs and their finance teams, and requiring them to think about how they better deliver value across their organizations, according to Matt Schwenderman, principal with Deloitte Consulting LLP. 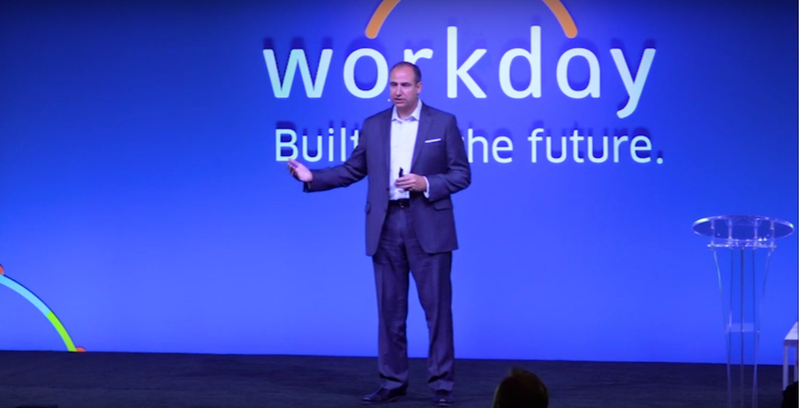 Matt Schwenderman, principal with Deloitte Consulting LLP, at Workday Rising. While these are not necessarily new challenges for finance, Schwenderman notes that the speed and complexity at which they are coming is requiring finance to evaluate how to leverage digital technologies to keep pace. Schwenderman said finance teams should be focused on “applying business rules and process automation software to routine tasks that happen in finance today.” By automating manual processes, they’ll gain efficiencies that can help them focus more time on analysis and partnering with other business teams. Schwenderman noted this is already happening in business areas outside of finance, such as human resources and call centers, but finance has been lax to adopt automation for several reasons. For example, it requires process standardization, and having multiple disparate systems can make that difficult. Finance also may have a lot of data clean-up to do first. He also said there’s a belief that automating processes is a large and complex endeavor, particularly with bigger end-to-end business processes such as order-to-cash. He recommends finance teams identify a single process that is less complex, pilot it to see what efficiencies result, and then continue building out more automation over time. Having an underlying technology platform that is scalable and provides easy access to valuable business data is critical for finance. Schwenderman highlighted cloud, in-memory, and components of big data as important areas for finance teams to begin their digital journeys, and said now is the time to set that foundation. “It’s very hard to enable machine learning capabilities, cognitive capabilities, or block chain without having a strategy around that type of architecture,” he said. Schwenderman said in-memory technology and big data approaches can process information significantly faster than traditional database structures, resulting in much richer data sets. He gave an example of the ability to drill down and analyze profitability by individual products, and then by region. “Doing that today in a traditional environment of relational databases could take somebody several days. In an in-memory environment, I can run through multiple scenarios in a couple of hours,” said Schwenderman. Another benefit of in-memory data is the ability to capture transactions in real-time and develop a current view into business performance. Although finance has historically been reluctant to move their systems to a software-as-a-service environment, Schwenderman is seeing more organizations interested in doing just that. Among the key drivers are M&A activity and facing an end-of-life situation with legacy software. Adapting to a changing workforce is also a catalyst. “Your workforce is not a workforce that wants to be tied to its desk. It doesn’t want to be tied to a screen. It doesn’t want to be limited by an old user interface,” said Schwenderman. In the future, finance professionals are going to be more focused on business partnerships and issue resolution, and will be more analytical, insightful, and project-oriented in their roles. “We are really looking for folks who can say why something happened, and I would even extend that and say [someone who] can be the driver in the organization to help predict what the scenarios might be,” said Schwenderman. When developing future finance talent, Schwenderman said to consider including opportunities that millennials value most in the workplace: experience, opportunity, and diversity, rather than moving vertically on a single track. “Have your organization organized around types of experiences you can give,” Schwenderman said, suggesting rapid rotations, quicker performance feedback, and being a company that does well by giving back. To watch the full session by Schwenderman, click here.